Enchilada and Burrito in one dish? Why not? 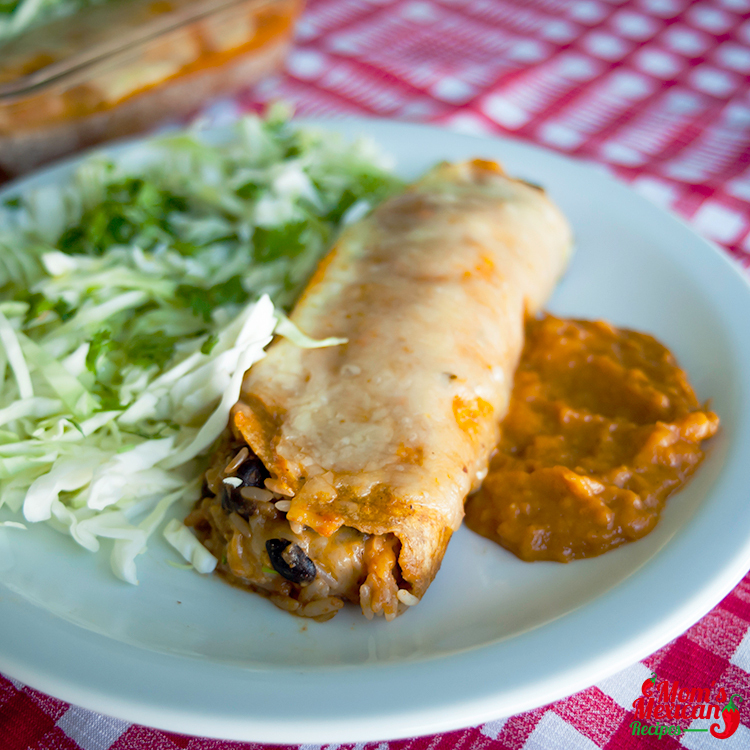 Both Enchilada and Burrito are Mexican dishes and both are very popular in the U.S. especially in Texas that’s why there is Tex-Mex Cuisine which is a combination of both Mexican and Texan food. 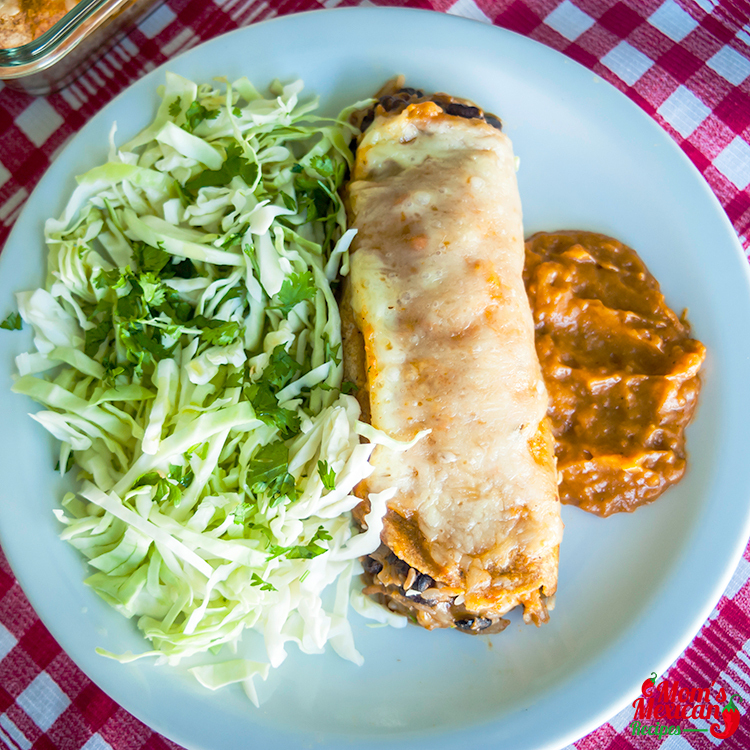 This Enchilada Style Burrito Recipe is as Mexican and even Texan as you can get. It has all the flavors you would look for in such dishes. The spices are just right, the sauce is perfect and the combination of both cooking styles is done flawlessly to capture not just the heart of a true Mexican but also the discriminating taste of a Texan native. In a pan, add butter or oil. Add rice and saute until gold color, about 3 to 4 minutes on medium heat. Add the green chillis, cilantro and mix well. Add the water and cook the rice around 5-10 minutes. When rice is ready add in the lemon juice and mix. Meanwhile, heat ½ tbsp of butter in small frying pan. Add onion, pinch of salt and saute till it becomes translucent. Add in the black beans and red chilli powder, drizzle 2 tablespoons water and saute it for 2 to 3 minutes. Preheat the oven to 350 F and then put it on broil mode. Place two tortillas in two separate cooking pans. Add in the rice prepared at the center followed by the black beans mixture. Now pour the sauce, Mexican cheese blend. Roll it up and place it fold side down. Pour the remaining enchilada sauce on top of the tortillas. Sprinkle the remaining cheese. Broil in the oven for about 3 to 5 minutes or until the cheese melts and sauce bubbles. Remove the burritos from the oven, add lettuce, guacamole if desired.Enchilada Style Burrito is now ready. 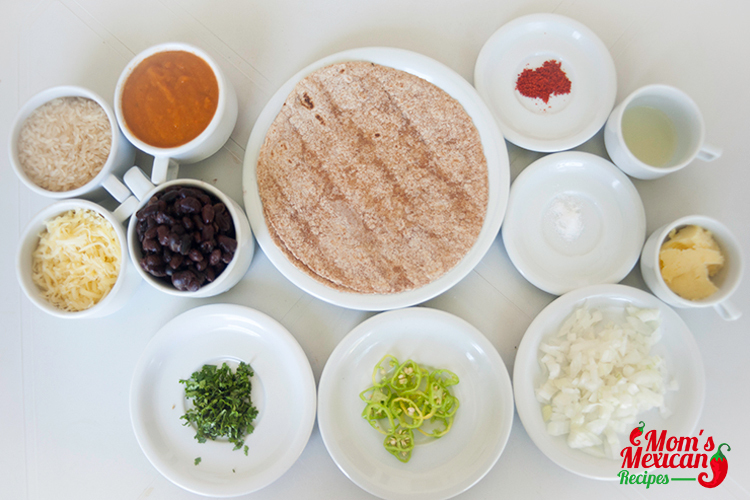 The most common way to prepare Burrito is to wrap Mexican-Style or plain rice, Refried beans, Lettuce, salsa, meat, guacamole, sour cream, cheese and other kinds of vegetables in a large flour or wheat tortilla while enchilada is prepared by rolling Tortilla with meat, beans, potatoes, vegetables and other combinations inside and topping it with pepper sauce. 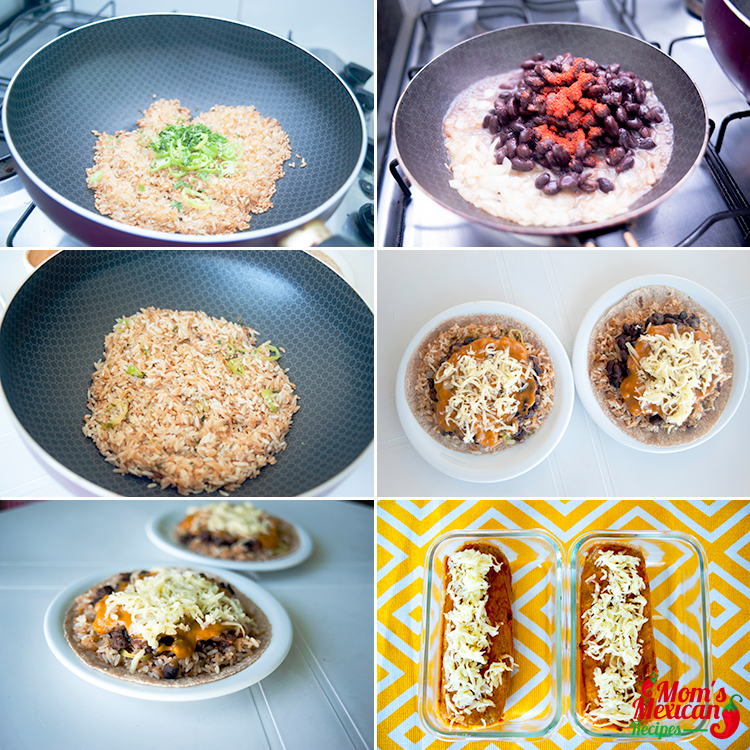 To prepare this Enchilada Style Burrito Recipe, a combination of the two technique needs to be done. Rice and beans are used to fill the Tortilla just like how Burrito is made and it will get a generous proportion of sauce much like enchiladas. 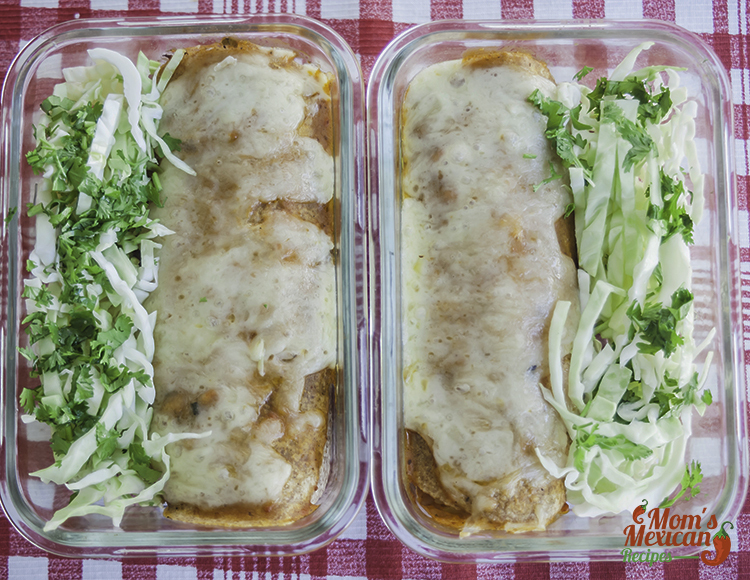 The vegetables and guacamole are prepared as side dishes in this Enchilada Style Burrito Recipe after it’s been oven broiled and topped with lots of cheese. The result is a flavorful and mouth-watering dish not only meant for Tex-Mex lovers but to everyone else as well. It’s so much better to prepare this at home because you get to control the ingredients you put in and how much saltiness you want. It’s also a way to prepare something special for the special people in your life. This combination meal is perfect for colder nights especially if you drink it with beer. Ideas and Thoughts regarding the Recipe? Leave your comments below or Like our Official Facebook Page for more Mexican Recipes.